November 2018 ~ Christmas A Go Go! Manchester psych pop outfit Whyte Horses celebrate Christmas with a glitzy original, and a wonderful Vashti Bunyan cover. Cool stuff! Get your vinyl version here. Wow, these girls sure know how to punk. The Dollyrots play 5 classic Christmas songs in 3 minutes! This female-fronted rock n' punk band from California does fast versions from songs like 'Frosty The Snowman' and even 'Silent Night'. Amanda and Pete form the Manda-Tones, a rockabilly duo from NYC. Upright bass and guitar, that's all. Next week, their Christmas album comes out. One track really got us craving for more! Don't look any further, further (thx Dennis Edwards). The highly expected Christmas album by Stippenlift is here! 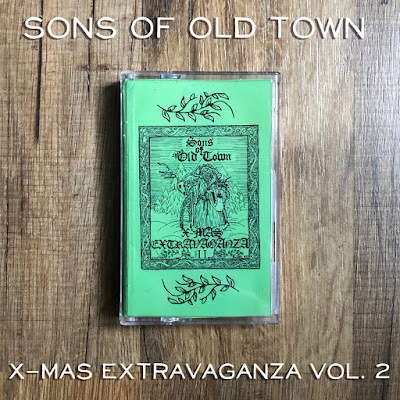 This self declared Christmas fan made fourteen tracks that tickle, arouse and soothe and meanwhile invites you to ease and contemplate ('cause it's Christmas damned!). Many definitions go round the internet to frame the music by Hugo van der Poel a.k.a. Stippenlift. 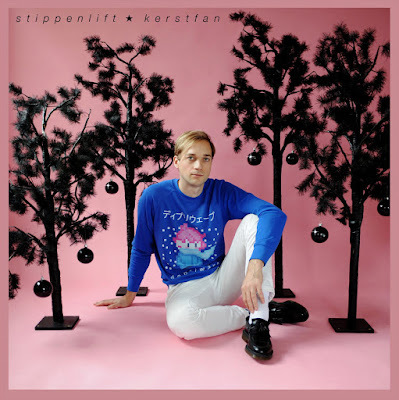 Personally I think 'vaporwave-electropop light' is quite an appropriate one and applicable on his Christmas album too. Wear your depri on the outside and enjoy this Dutch treat. The almighty Stubby wrote an extensive review of A Very Cherry Christmas XIII. HERE. Which brings us to the question of the day: what's your favourite 2000 miles cover? Amsterdam-based musician Victor Butzelaar releases two instrumental, ambient Xmas songs this year. Atmosphere-wise, think of Joep Beving and Max Richter. Here's the first. VB writes: "As soon as Halloween is over, Osaka turns into a fairyland of Kurisumasu lights for 55 days. This Christmas ambient song is a musical interpretation of a Lost Love at Christmas Night in Osaka. And it snows, which it rarely does in Osaka!" 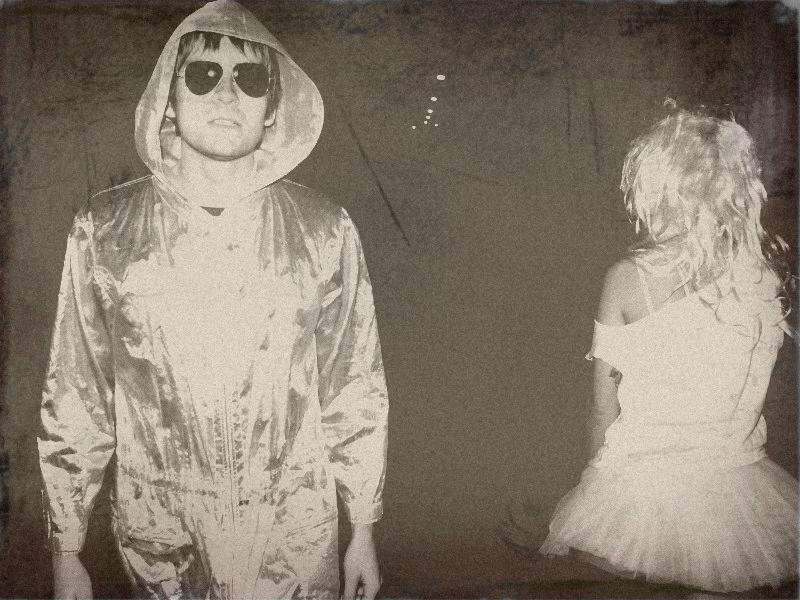 (Wanna sneak peek of the upcoming track? Find it HERE). Victor about his music in general: "Making music is necessary for me to express and classify my thoughts and feelings. Eventually, it is often formed naturally, and I hope that my music arouses feelings, appeals to emotions, evokes memories. I do not care at all whether you have the same thoughts as I do or if your thoughts are completely lost, that happens to me too :-)"
Hat tip to the mighty CU for this: Mure's ringading glittering blue eyed funk with discoballs on! And you may've heard this already, but hey: Hammond organ on a soulful Christmas track, we GOTTA post that, right? To think of a funny twist on a title of a well-known winter-/Christmas-y song, that's one. But to actually write solid, LOUD rocktracks after that, that's really flexin' it. 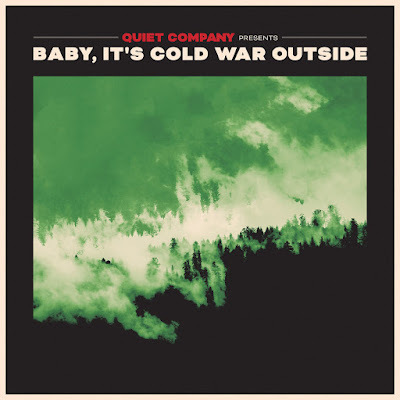 Example: Quiet Company's Baby It's Cold War Outside EP. It's loud, it's from Texas baby, it sounds a bit (because their voices are alike) Death Cab for Cutie-ish. The track below is the winner. But do try the other Xmas tracks on this EP as well. VERY welcome addition to this year's stream of new Christmas releases, Top 10 Of the Year stuff. 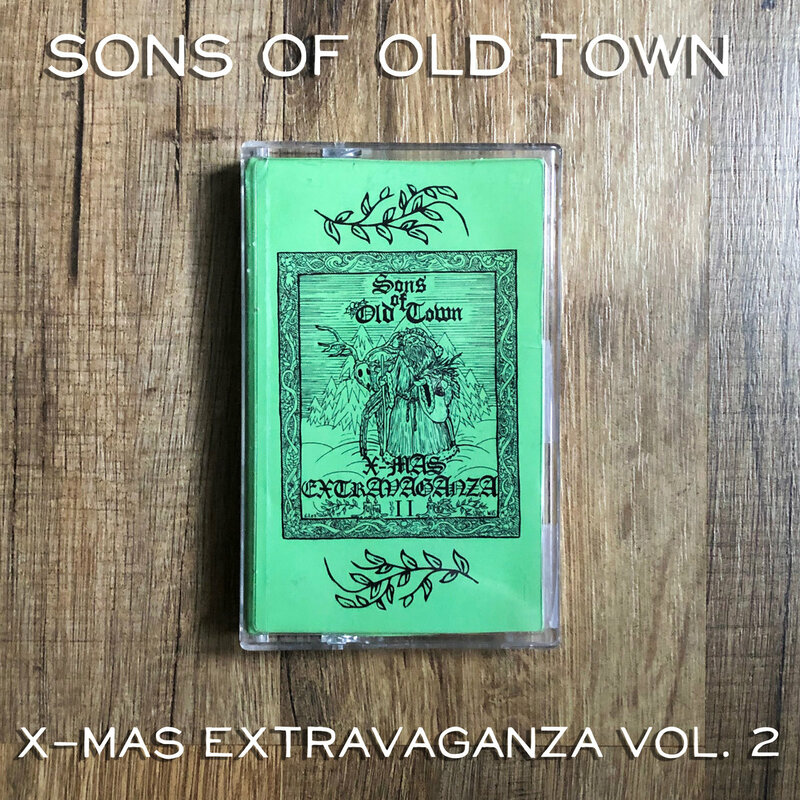 This is the best Christmas album of the year. Yes, already. It doesn't get any better than this. Trust me on this. Star Trek actor William Shatner (Captain Kirk) has a real Christmas album out: 'Shatner Claus-The Christmas Album'. On the CD/LP only traditionals, except 'One For You, One For Me'. Shatner provides narration for all the classics. For the singing and some of the music he came up with a bunch of unexpected guest musicians from all over the music scene. Like Henri Rollins, Judy Collins, Ian Anderson (Jethro Tull), Todd Rundgren, Rick Wakeman or Brad Paisley. Production work has been done by Jürgen Engler (yes, the guy from German band Die Krupps). Off course Iggy Pop joins the party with an unusual cover of 'Silent Night'. 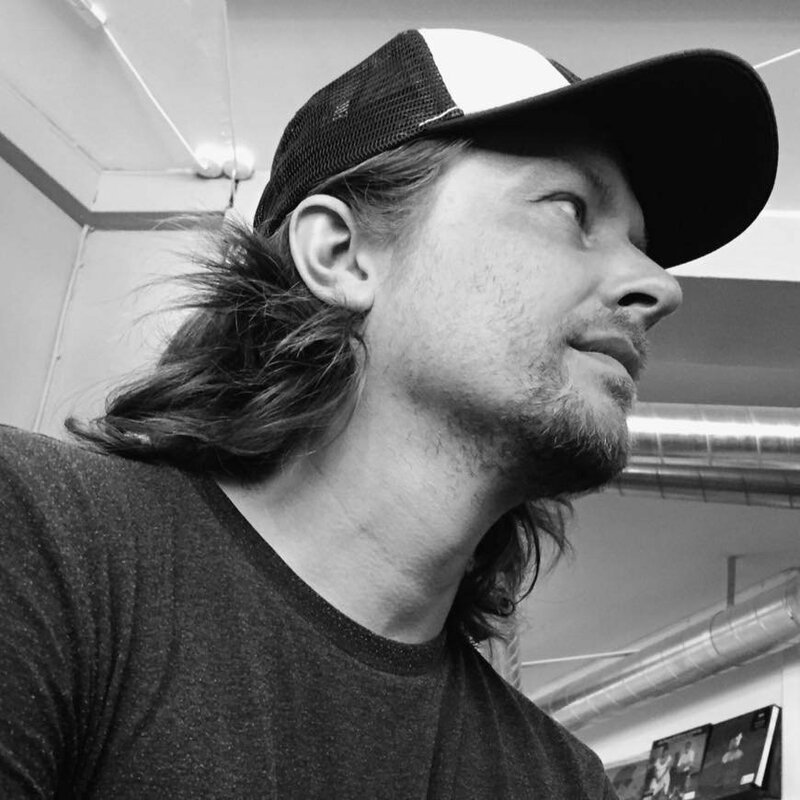 Released in April, so right on time, this lo-fi Xmas track by prolific Danish songwriter Jacob Faurholt, who also releases albums solo and under the moniker Crystal Shipsss. Aaaaaaand we're back! We kick off the new season of alt.Christmas songs with Psychic Dancehall, aka Hollie Cook & Charles Rowell (of Crocodiles) and their 80s funkin' Santa is a freak. If the sample sounds familiair, it's from THIS track. Thanks to Christmas Underground for this!